The new Black Panther snare drums feature newly designed finishes including new lugs, hoops, throw-offs and snare strainers. All of the new Black Panther models feature one of two classically designed lugs. One is a beautifully sculpted shield-style split lug, while the other is an elegantly forged tube-style lug. Both are strikingly attractive and give the Black Panther series a stunning new look. 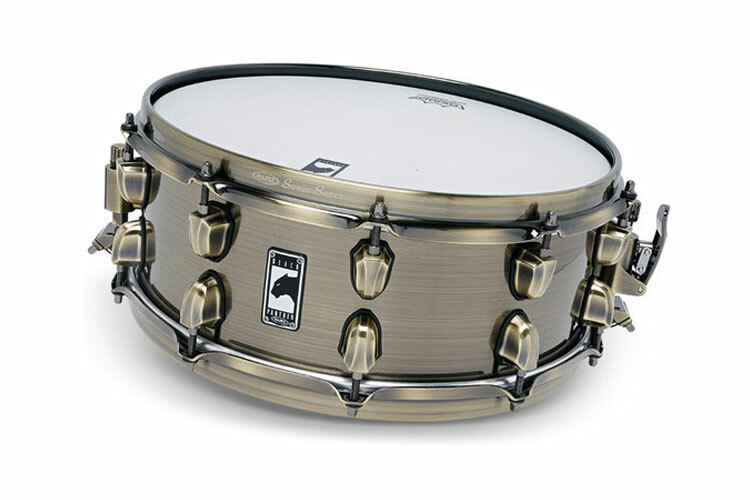 To complete the transformation, each drum features a distinguished new die cast chrome plated Black Panther badge. The new Black Panthers feature an incredibly smooth piston-style throw-off that requires minimal effort to operate. The adjustment dial employs “micro-lock" technology that provides a silent, yet tactile “click" as it's turned, allowing precise tension control. The drums' newly designed hardware contributes significantly to the presentation and the performance of the instruments. Mapex's new “Sonic Saver" hoops bridge the gap between flanged and die cast hoops. The unique shaping process creates a rounded profile at the top of the hoop that reduces wear and tear to both sticks, hands and wrists, while dramatically enhancing the feel and response of every rimshot. Slightly softer than steel this drum produces an aggressive sound thats incredibly smooth.